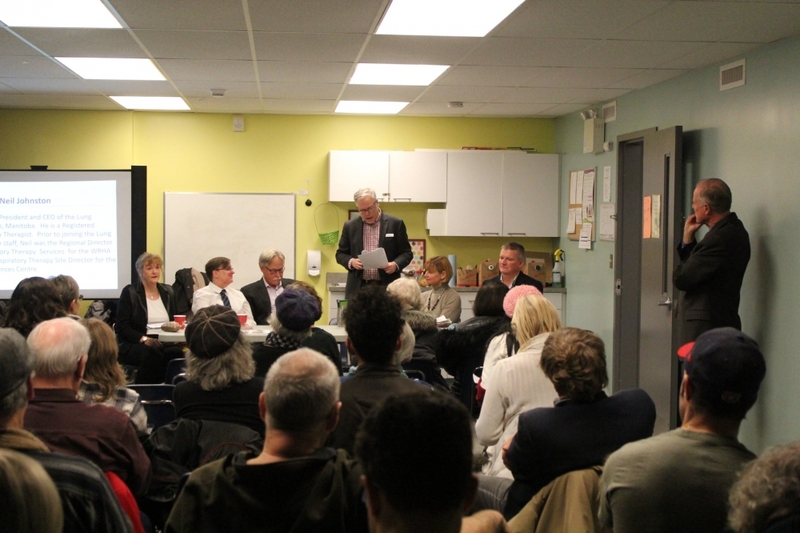 On Sunday, November 18th, I hosted a River Heights Community Forum on Preventative Health - specifically preventing addictions, mental illnesses, HIV-AIDS, diabetes and lung diseases. We need this knowledge to keep ourselves and others well and to have a sustainable health care system. Jane Meagher, the founder of 100 Women who care Winnipeg, talked of addressing traumatic events in early childhood and being able to help children develop and build their confidence and self-esteem as important to preventing addictions and mental illness. Robyn Priest, internationally known for her work on peer support, spoke of such support as critical to preventing and treating mental illnesses. Dr. Paul Sandstrom, Director of the National HIV and Retrovirology Labs of the Public Health Agency of Canada addressed HIV-AIDS. He spoke of treatment as prevention because current treatment lowers the viral load to undetectable so that individuals can no longer transmit HIV AIDS to others. Michael McMullen, spoke of Diabetes Canada's 90-90-90-90 approach nationally to reduce the incidence of type 2 diabetes. Complimenting his talk were remarks by endocrinologist Dr Margaret England who talked of the importance of screening using hemoglobin A1C to detect diabetes. Lastly, Neil Johnston, President and CEO of the Manitoba Lung Association spoke of preventing COPD and other lung diseases to improve health and save costs. Thank you to all the panelists and to all who came to discuss and share ideas on developing a preventive health care plan for Manitoba. Click here to watch a video of the forum. Copyright © 2019 Jon Gerrard - MLA for River Heights. All Rights Reserved.